Doritos is promoting the chips and tomato dip combination in “Dip Desperado”, a television and online advertising campaign featuring an epic championship battle. 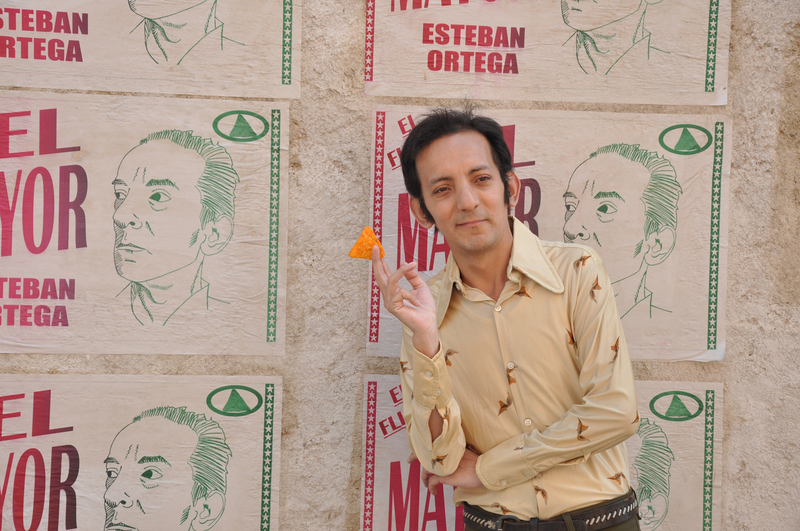 Esteban, our chip-flicking hero, fights his way to the title of El Flicko, achieving fame, respect and a beautiful wife. 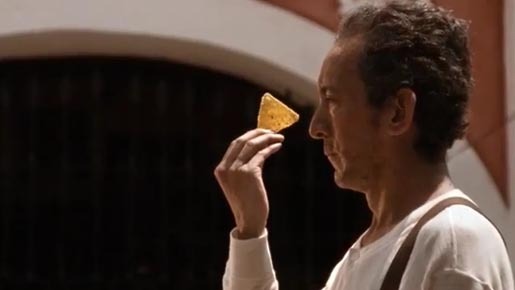 But as all epic stories must unfold, Esteban loses everything in a dramatic fall from grace, only to return years later at the spot’s conclusion to prove that he is not, after all, a stale chip. The Dip Desperado game, available as a Facebook app, iPhone app and Android app, involves flicking a Doritos chip and flying it past crazy obstacles. Born in 1945 in Santa Catarina, Mexico, Esteban Ortega was an unremarkable fellow in every way. Then at the tender age of twenty-three, he discovered he had a unique talent; Esteban could flick a tortilla chip over great distances and with the speed and accuracy of a bandito’s bullet. His skill made him a local legend, and his talent gave birth to the sport of chip-flicking. Pesos, fame and senoritas came thick and fast. He was no longer Esteban Ortega. He was The Dip Desperado. 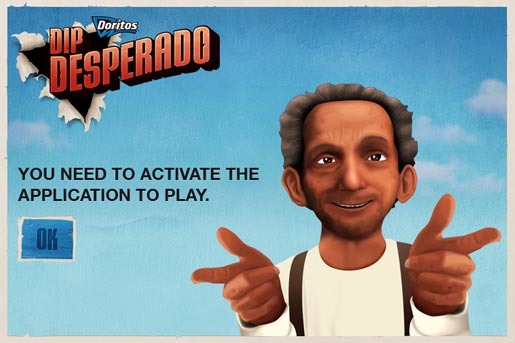 The Dip Desperado campaign was developed at AMV BBDO by creatives Tim Vance, Jeremy Tribe, Paul Knott, Prabs Wignarajah, art director Angeles Martinez, and agency producer Suzy MacGregor. Filming was shot by The Glue Society via Independent Films, London, with director of photography Ray Coates, producer Jason Kemp, executive producers Conchita Taboada and Jani Guest, and production manager Jack Beardsley. Post production was done at The Mill, London. Editors were Adam Jenkins and Jeff Stevens at Feed the Walrus, London.